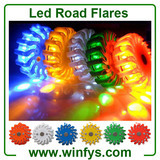 LED Power Flares ( Led Road Flares, Led Flares , Led Safety Flares, Led Emergency Flares , Power Flares , Road Flares ) is an ideal safety signal light to identify road hazards, mark detours, underwater repair applications and more and a great item to keep in your vehicle at all times that can be used to signal for help or identify road hazards and used for police, firefighters, EMTs, rescue services, first responders, members of emergency responser and the general public and used in cars, trucks, boats, RVs, semi-trucks, construction zones, airports and emergency response vehicles. 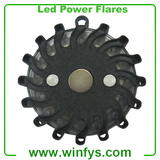 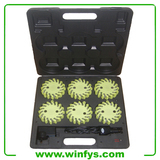 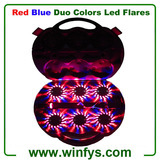 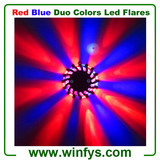 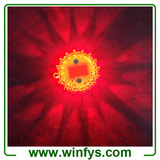 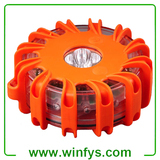 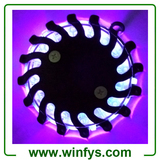 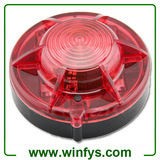 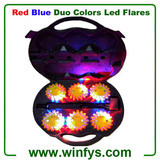 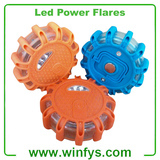 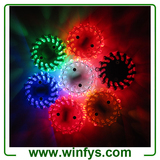 WINFYS INDUSTRIAL LIMITED is a China Leading LED Power Flares ( Led Road Flares, Led Flares ) manufacturer, factory and supplier with the manufacturing capacity to provide low prices, high quality and short lead time for LED Power Flares upon our long policy of lower prices with high volume export. 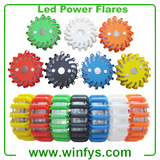 We actually manufacture the led power flares in-house which produces the wide variety of led flares rechargeable, 16 best led road flares, 24 led power flares, rechargeable led power flares and non rechargeable led power flares. 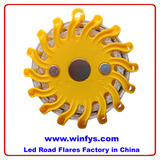 Our manufacturing facility is ISO 9001. 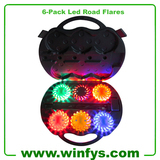 We offer OEM service of rechargeable led road flares, rechargeable led safety flares, rechargeable led emergency flares, rechargeable led road flares kit, rechargeable led flares,led traffic flares, led safety pucks light,red/blue emergency safety flare light and led safety light. 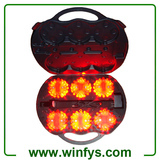 Our products have been well sold in Europe, America, Australia, Middle East and South Africa, etc.